Opening of the 37th Saudi Agricultural Exhibition in conjunction with the Second International Trade Fair for Aquaculture and launching of SAMAQ project to 100 exhibitions around the Kingdom. Minister of Environment, Water and Agriculture Eng. Abdulrahman bin Abdul Mohsin Al-Fadly inaugurated the 37th Saudi Agricultural Exhibition organized by Riyadh Exhibitions and Conferences Company under the patronage of the Ministry of Environment, Water and Agriculture at Riyadh International Exhibition and Convention Center on Monday, October 8th 2018. 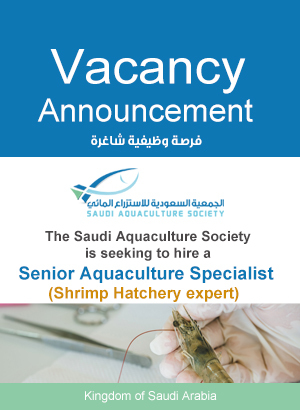 In conjunction with the launch of the Second International Trade Fair for Aquaculture, which is held with the participation of Saudi Aquaculture Society, the strategic partner of the exhibition, which is the largest exhibition specialized in aquaculture in its second edition. This is the first time that a specialized exhibition on aquaculture in Riyadh has been inaugurated. The second Saudi International Trade Fair for Aquaculture will also be actively involved with a number of national producers and leading fish and shrimp producers as well as feed production companies. It will also be attended by a number of international companies specializing in aquaculture equipment in a number of specialties such as algae production equipment, closed systems, floating cages, processing plants and others. There will be three workshops for a number of local and international specialists and experts held over three days on the sidelines of the exhibition. On the sidelines of the exhibition, cooperation agreements will be signed in a number of sectors related to the sector, and investment portfolios for aquaculture projects will be presented. 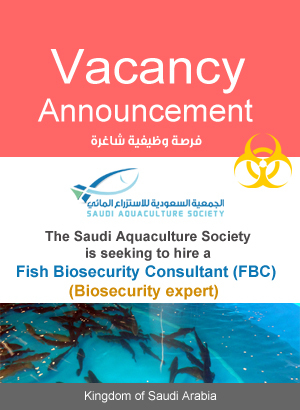 This participation in the aquaculture sector comes to emphasize the importance of the aquaculture sector and as one of the important agricultural sectors that will play a prominent role in contributing to the food security of Saudi Arabia and to the self-sufficiency of fishery products to achieve the vision of Saudi Arabia 2030. The Minister of Environment, Water and Agriculture Eng. Adalrahman bin Abdul Mohsen Al-Fadhli inaugurated the expansion of the SAMAQ project to more than 100 exhibits in a number of regions of the Kingdom, including Riyadh, Jeddah, Dammam, Jubail and Al-Ahasa. Through the stores of SAMAQ partners, who represent the largest retail companies in the Middle East as well as a number of restaurants. SAMAQ National Certification Program for National Aquaculture Products is one of the ambitious initiatives launched by the Ministry of Environment, Water and Agriculture represented by the National Fisheries Development Program with the participation of the Saudi Aquaculture Society to raise the quality standards of farmed fish products to provide fresh, safe and healthy products. In this context, Minister of Environment, Water and Agriculture Eng. Abdulrahman bin Abdul Mohsin Al-Fadhli patronized the signing of a partnership agreement for the joining of Saudi Airlines Catering to the SAMAQ customers program to provide different SAMAQ products such as fish, shrimp and caviar as meals to its 32 million passengers last year. In a step that enhances the role of national fish products and the level of quality and food safety achieved.